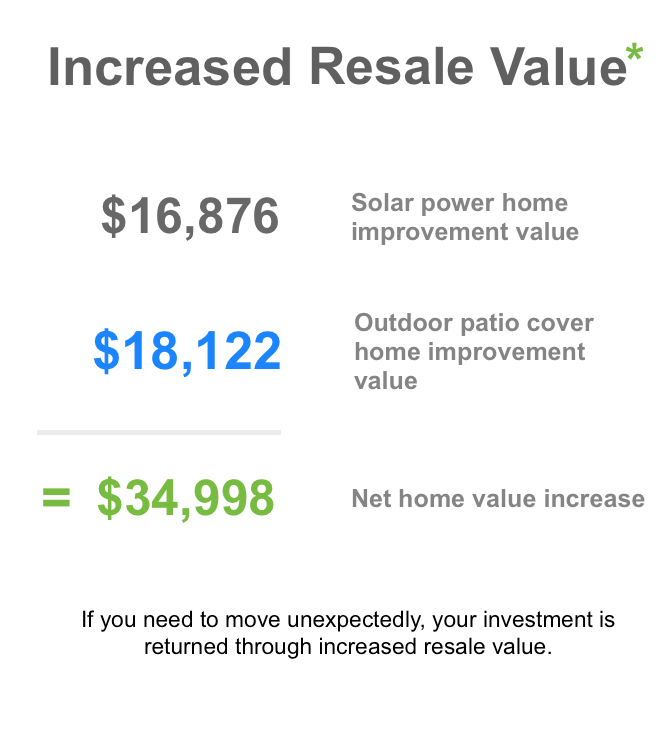 Let electricity savings fund your backyard oasis! 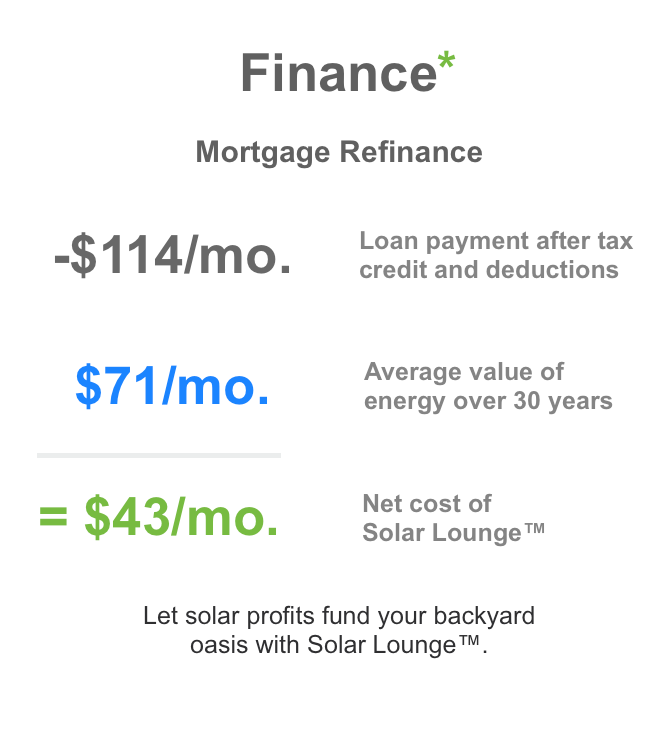 Cut Your Electric Bill With Solar Lounge™! Reduce Greenhouse Emission All While Enjoying Life Outdoors! EcoLounge's Solar Lounge absorbs sunlight throughout the day to generate solar electricity for your home, without tying up your roof or valuable space in your yard! 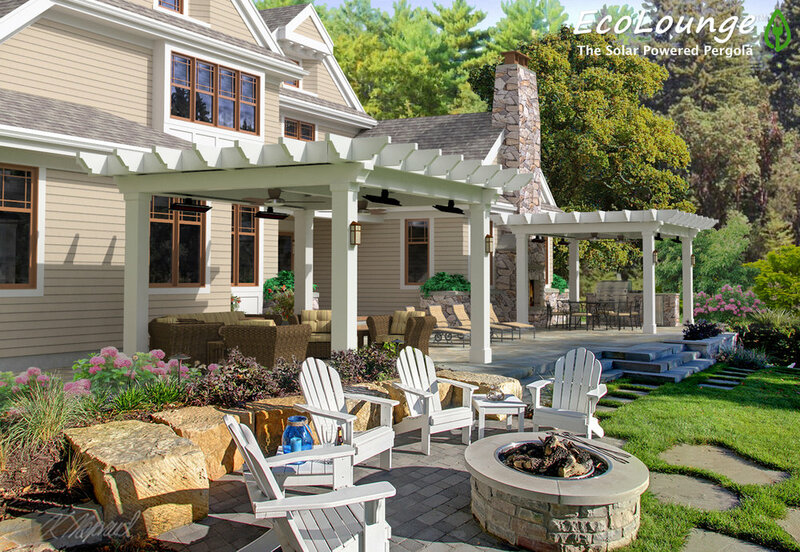 The Solar Lounge is the perfect solution for those who can't put solar panels on their roof due to shading, obstructions, dormers, or orientation. Luckily, the Solar Lounge doesn't go on your roof! It sits conveniently right in your yard or over your patio. It's also one of the best looking solar solutions on the market! What about ground mounted solar? Think about all the yard space ground mount takes up! 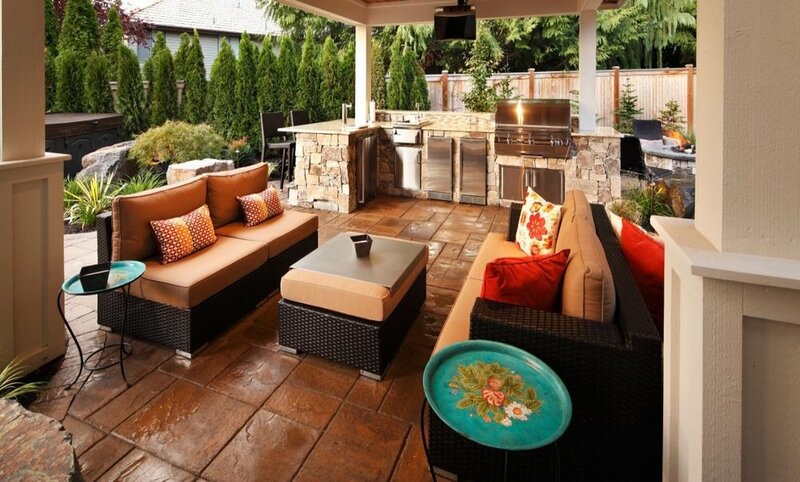 We know how important it is to have your yard accessible! That's why we knew mounting solar panels directly to the ground just wouldn't work. 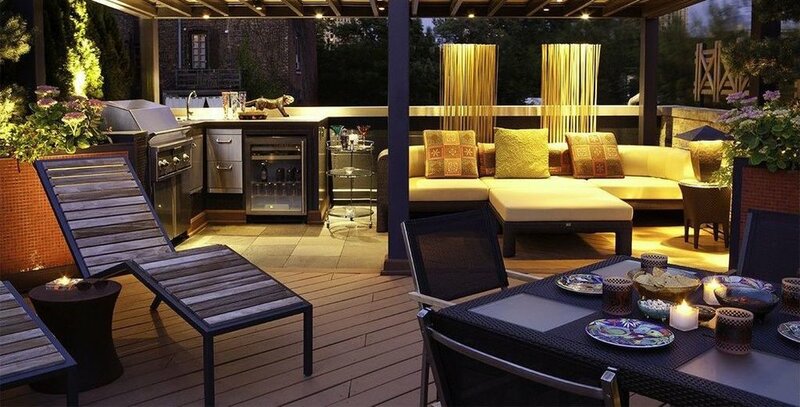 The Solar Lounge gives you the same benefits as ground mounted solar panels, but without tying up space! 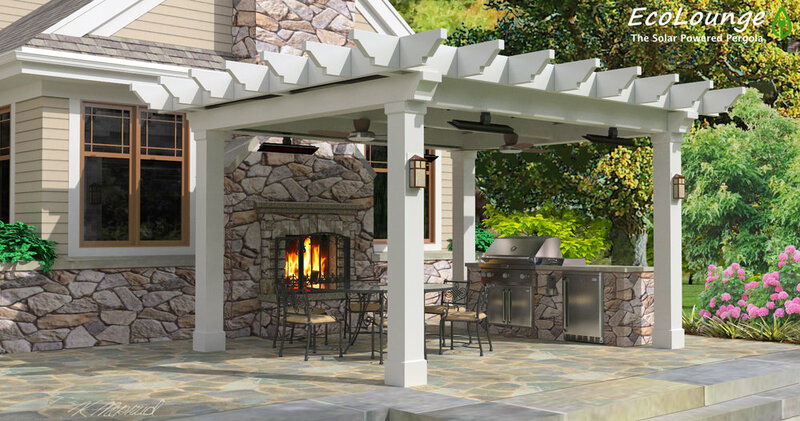 Just like a traditional pergola, you still have the ability to lounge out poolside, or host a summer barbecue under the Solar Lounge! All while creating electricity and reducing your monthly bills! 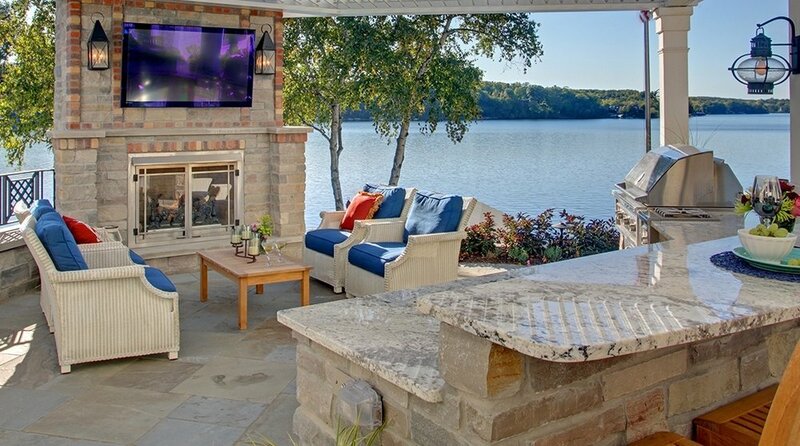 Don't worry about having to bring the party indoors! If it starts to rain, or the sun's getting too intense! Another great benefit of the Solar Lounge is that it provides both full weatherproofing and shade from the sun! · Permanent Vs. Temporary - With renters and owners in mind, the Solar Lounge is designed to support both a non-permanent solution, as well as a system that mounts directly into the ground. Enabling everyone to have an optimal energy solution to maximize energy production. · ENERGY GENERATING - Our Built-in, bi-facial solar panels are state-of-the-art and leaders in solar panel efficiency! Giving you the most premium system you can get! 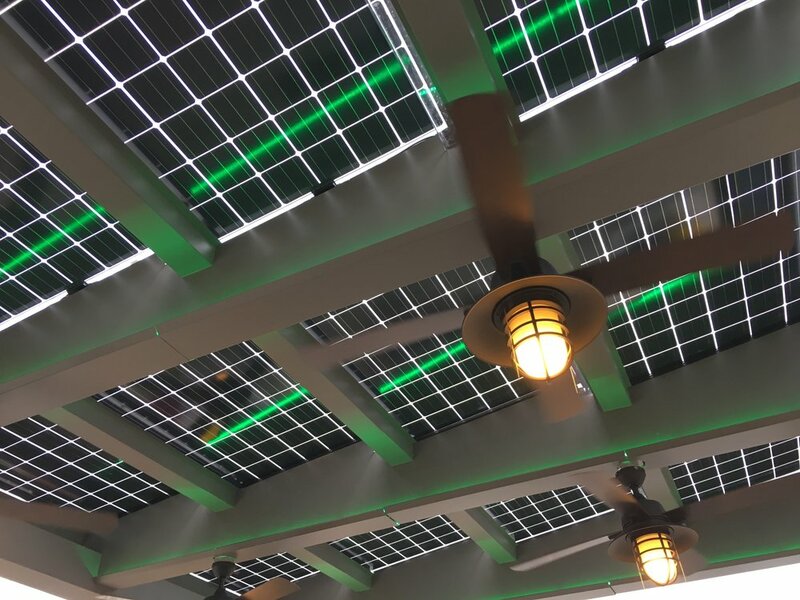 · AFFORDABLE – Renewable incentives offered by the government and energy surplus which can either be stored by battery or can easily be used to roll back your electric bill, makes you money! · SMART FEATURES – Outfitted with options like multicolor LED light strips, Bluetooth speakers, heaters, fans, and retractable mosquito screens – all integrated into our smart system. These features can easily integrate with smart devices like Google Home and Amazon Echo to control by voice and smartphone app.